Most denture patients do not have a stable appliance and would prefer to have the security of a fixed prosthesis. Now there is a very exciting treatment available to you in which you can receive four or more implants in one day and have your denture converted to a screw down Hybrid prosthesis. Imagine going from a loose fitting denture to the security of a fixed, screw down prosthesis-all in one day. While this process is being marketed under a variety of names, including ClearChoice® clinics, Teeth in a Day, Teeth in an Hour, Bar Attachment Denture, there are a number of issues that you, the patient, need to consider before undergoing this type of therapy. Some of them include how many implants are best for you, will bone grafting be done to preserve your bone vs reducing the bone for ease of implant insertion, and is the placement of angled implants the best method of insertion in your case. Quite often, the immediate load hybrid prosthesis is the only restoration that is offered to the patient, even though there may be alternative treatment plans. 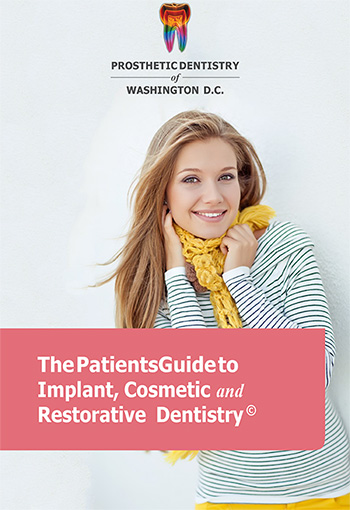 You can find the answers to these and other questions addressed at the implants with teeth in a day menu in the dental implants section at our web site, pdwdc.com.